Spring is almost here. The flowers will soon be in bud and blooming profusely. Do I sound impatient? I cannot wait to see these beauties in my garden again this year!! These were painted in the studio at the television station for my show, “Painting Journeys”. 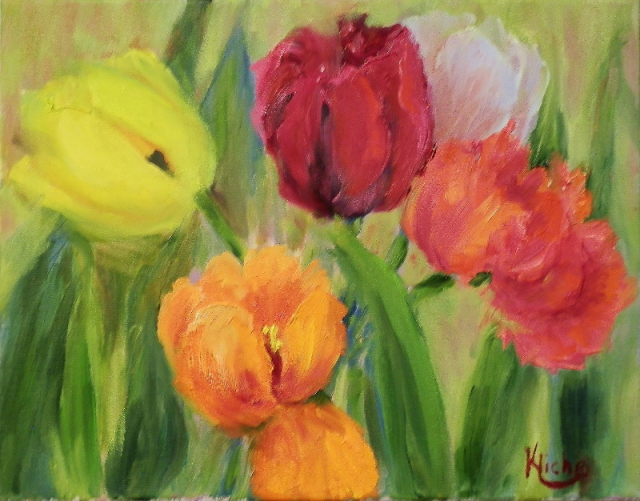 We took an imaginary walk through my garden as I painted these from life. You can watch the show by clicking on the highlighted title, “Spring In the Garden“. DVD copies of “Painting Journeys” are now available, for purchase, by contacting kittylynneklich@gmail.com with Painting Journeys in the subject line.